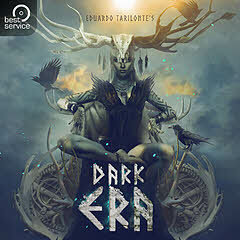 With Dark ERA, Eduardo Tarilonte – the master of mystical sounds – leads us back into the dark age where legends were born and where old northern gods still determined the fate of mankind. This library allows you to discover sounds to which the vikings and other already forgotten cultures and tribes were celebrating and singing their myths. The fascinating sound of Dark ERA ranges from the transcendental drones of the ancient stringed-harp Tagelharpa to the unmatched grace of the gut-stringed Lyra to the distinctive and characteristic sound of the Nordic bone flutes and the overtone flute Fujara. Goose bumps are guaranteed with the sound of war horns such as the wooden Lur, thunderous mighty percussion, a full ensemble of frame-drums as well as mystical throat chants.